Address as Cemetery Road in 1879, 1888 & 1892. Closed for the duration of the war, 1940 to 1944. 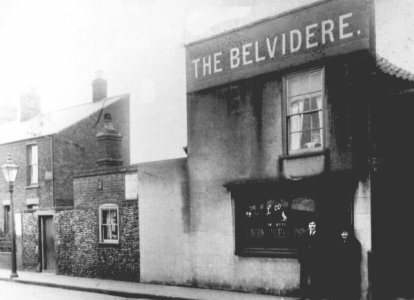 Signage by Lacons in 1972, when offered For Sale, premises and land, show the name to be the BELVEDERE.